thank you very much, that was very helpful! I'll definitely keep the Dark Harvester in there, then. Really fun deck. Thanks for sharing. Hello, if I own DFMs, should i put these in instead of Telvanni, or are you running Tel because you can sacrifice them with Desperate Conjuring without losing the card power? And ofc execute is a thing everywhere. I play Telvanni because of executes. DFM is great, but weak to cheap removal and i dont have too many time for play the tome of alteration. Telvanni save my life too many times with good spells, and i think i never desperate conjuring him. Looks great, any mulligan tips? Amazing, thanks a lot for the detailed reply, much appreciated. An indeed thoughtful write-up! I've been trying this deck for past few days, and tuned it into my somewhat more mid-range approach. It is quite flexible and versatile thanks to most prophecy cards offering great utility and board control. and 10 to 12: odahviing. I wonder what you think on other less appealing prophecy options, as I tried them out to some extent. --- I tried to substitute for knight of the hour, works ok-ish, since I feel the knight is quite over-costed if played from hand. Loyal housecarl is much more flexible, and better suits my style. --- works surprisingly well substituting ice storm, and I usually add one copy of immolating blast. --- I really like the concept of a prophecy item with active component, but I'm not so sure how to bring out its full potential, as it does not seem to stand out in comparison to loyal housecarl or skywatch vindicator, both with the similar mechanics. --- I concur with you that desperate conjuring a 7 to 9 works wonder, but it hampers early game too much if drawn at low magicka. I'm thinking of adding legion praefact or renowned legate to this slot. Thanks in advance for your feedback. 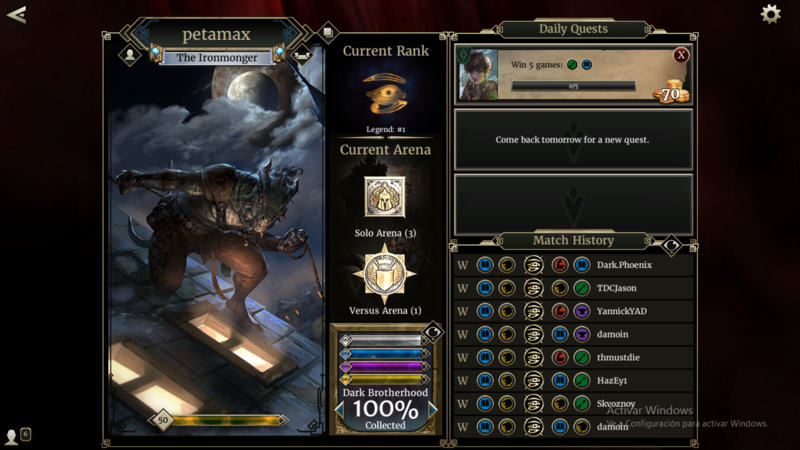 As a new player of less than two weeks of exposure, I've been enjoying legends, and look forward to the skyrim expansion. Cheers! Really fun deck, thx for sharing. Sometimes you will have to play more midrange, or more greedy if you hand/board is more aggressive. What does it mean to play more "greedy" or more "midrange"?